Our pets become much more than pets to us...they are constant companions, best friends, playmates, therapists, and always, always by our side, on our lap, at our feet. "Somehow our pets sense-they just know-how we feel. And totally accept us, in whatever emotional or physical state we appear. They teach us about friendship and patience and inner peace. 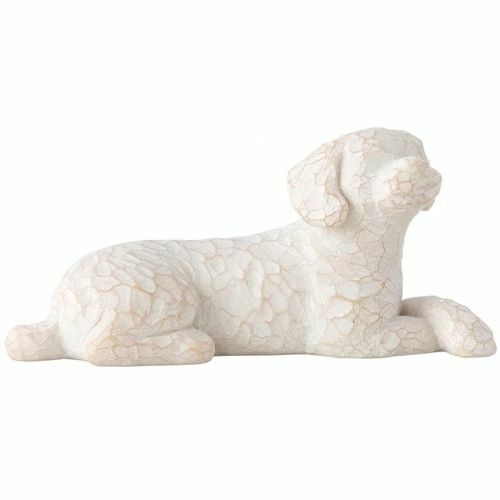 They support us with loyalty, softness, an independent spirit and expressive gaze. It is true that animals have a sixth sense. It is the sense of love, unconditionally." - Susan Lordi. The item is made in resin and hand-painted with lead-free paint. Not a toy or childrens product.